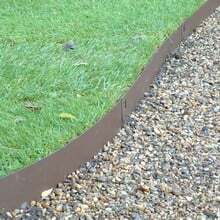 Steel Lawn Edging - Give your lawn edge definition with this weather resistant, maintenance free, 1.6mm thick galvanised steel lawn edging, coated in a corrosion resistant brown paint. 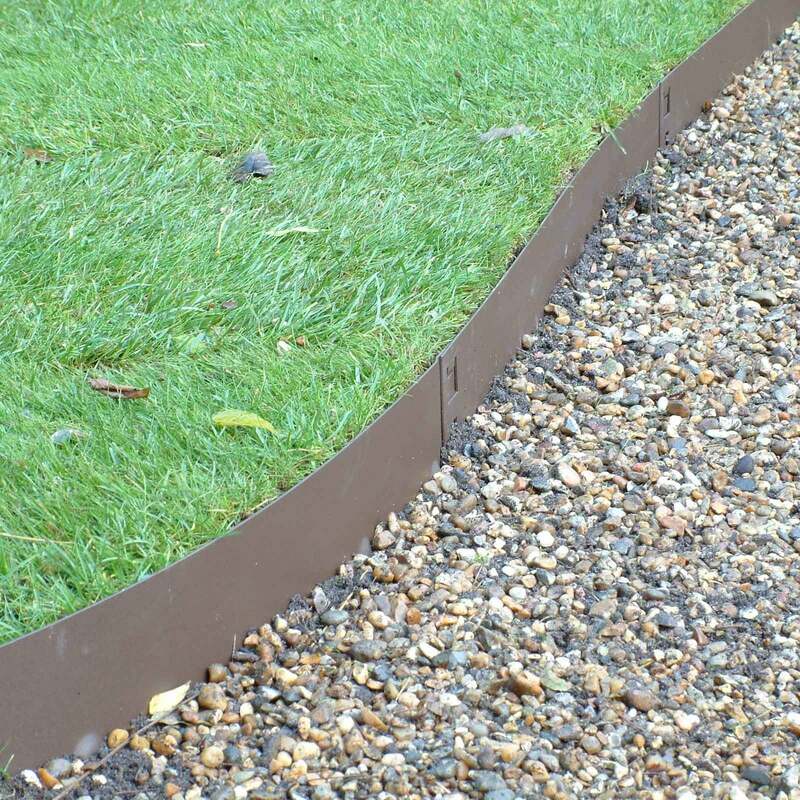 Steel Lawn Edging - Give your lawn edge definition with this weather resistant, maintenance free, 1.6mm thick galvanised steel lawn edging, coated in a corrosion resistant brown paint, which research has revealed to be the most natural colour for the majority of applications. 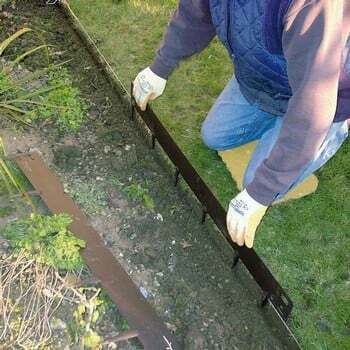 The 1m lengths are easily installed with a hammer, screwdriver and block of wood, straight lines and corners can be given a neat finish, and the tedious task of continuous edging is eliminated. The steel lawn edging can be cut to size with either a hacksaw or a grinder with slotting disk, if necessary. 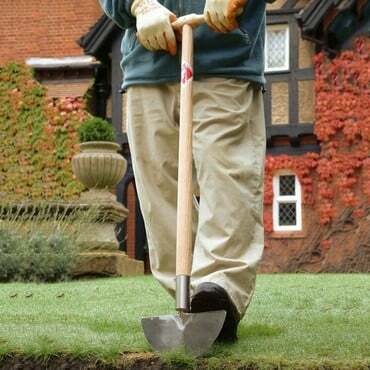 I have used the edging for several years and am gradually edging all lawns in the garden with it. I find it excellent but there is one installation snag: when driving it into hard soil the sections can become detached, with the fixing tag bending, and I have had to replace tags with bolts. It would be good if an alternative bolt fixing could be provided. This would be especially useful when installing on uneven ground levels. 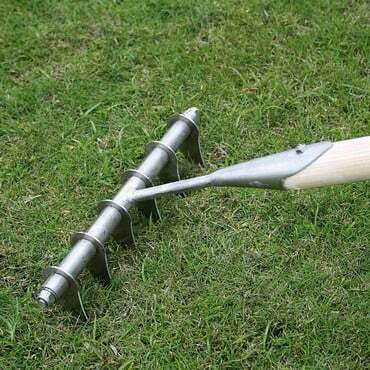 Tools and kit - There are now lots of time-saving versions of regular gardening kit, available online or from your local nursery of garden centre. Speed up the basics with my pick of must-have tools and essentials. Permanent Lawn Edging - If a lawn is properly edged, it's quicker to keep it neat and tidy. 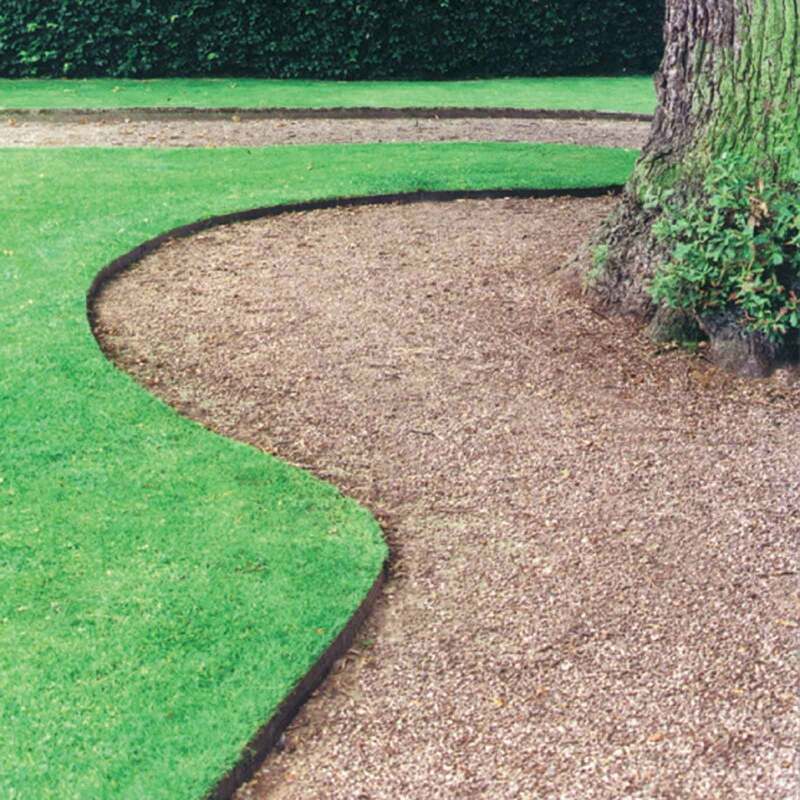 You won't need to trim the edges separately - just mow over them. 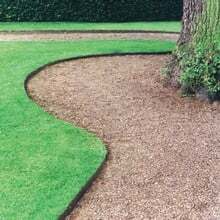 It also stops the lawn from changing shape over time. 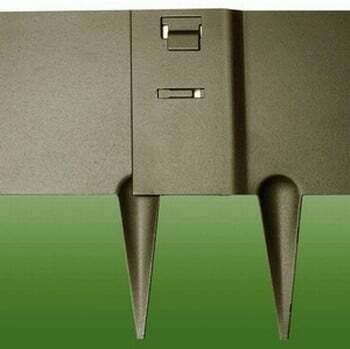 The top quickly blended in and the back was unobtrusive.